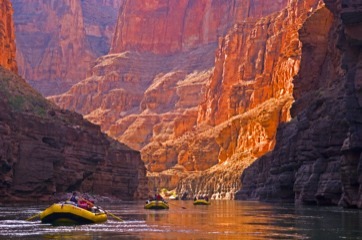 Classic whitewater rapids, desert scenery, amazing hikes, waterfalls and Native American Historical Sites, the Grand Canyon is known as the ultimate rafting trip - a must for any river enthusiast, and the best way to experience the area. 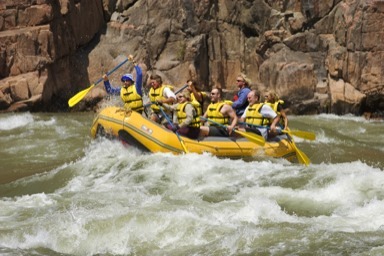 There are a wide variety of river trips available, ranging usually from 3-18 days in length. Floaters can choose from motorized or non-motorized boats, and different sections of the river offering various scenic and whitewater options. If you are looking for awesome big water excitement, the Lower Grand Canyon has legendary class 5 rapids that vary in size, depending on water level. Upper and Lower Grand Canyon trips usually involve a strenous hike to or from the river.